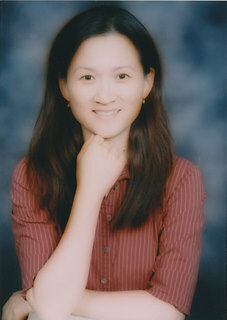 Dr Chien has been practicing dentistry since 1994. She studied under the late Dr James Simon and received her Postgraduate Advanced Endodontic Specialty certificate from University of Southern California in 2007. She obtained both her DDS and MS degrees from University of the Witwatersrand in Johannesburg, South Africa, and practiced general dentistry in Johannesburg and Los Angeles for 10 years before specializing in modern endodontics. Her extensive knowledge and experience in both general dentistry and endodontic specialty serve her patients to have the best possible care. Dr Chien has received a number of awards in the field of surgical extrusion of endodontically treated teeth, and has presented in a number of conferences both locally and nationally. Dr Chien is also a proud published author, she co-authored a Surgical Extrusion chapter in the book 'Best Practices in Endodontics, A Desk Reference' published by Quintessence. Dr Chien is a Clinical Assistant Professor at USC Herman Ostrow School of Dentistry Graduate Endodontic Department, and is the recipient of the 2018 Outstanding Faculty Award for the division of Endodontics, Orthodontics and General Practice Residency at USC. Dr Chien is also a board certified Diplomate of the American Board of Endodontics. Dr Chien is a Founding Fellow of International Academy of Endodontics, a specialist member of the American Association of Endodontists, and also a member of the following professional organizations: American Dental Association, California State Association of Endodontists, Southern California Academy of Endodontists, California Dental Association, San Gabriel Valley Dental Society. Dr Chien is also a volunteer member of Dental Lifeline, a non-profit organization for disabled or elderly patients. She currently serves as President for the International Academy of Endodontics, and is the Past-President of Southern California Academy of Endodontics. Dr Chien is also fluent in Mandarin and Taiwanese. She is married and blessed with two children. In her free times, she enjoys playing piano, home cooking, yoga, hiking, mountain biking and travelling. With the advancement of technology, limited-field CBCT imaging has been as ground breaking in the dental profession just as surgical operating microscope has been. Our office is equipped with the latest J.Morita VeraviewEpoc R100 CBCT machine, which generates a detailed 3D view of the tooth/area in concern which is sometimes difficult to observe on the traditional digital & film radiographs. All endodontic therapy is performed using top-of-the-line Zeiss Pro-Ergo surgical operating microscope, providing the endodontist and assistant with commanding visual control in a remarkable precise manner previously unknown to dentistry. 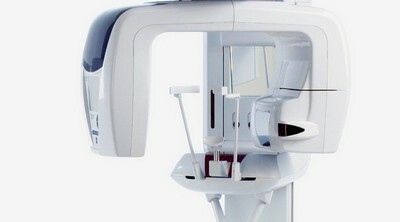 We utilize an advanced digital dental imaging system which minimizes the already low radiation required and improves diagnostic capabilities through image enhancement computer technology. Our office adheres to standards of infection control in accordance with CDC and OSHA guidelines. All handpieces and instruments are sterilized prior to treating each patient to eliminate any risk of cross-contamination. Our sterilization equipment is carefully monitored for 100% effectiveness. Our dental equipment utilizes self-contained water supplies, capable of delivering bacteria-free sterile water during all surgical and nonsurgical procedures. We can also email an electronic report to you with all the digital images and radiographs. Our referring dentists also have the ability to access radiographs and images of your treatment by a secured, web-based system.